Home / Amazing Facts / Do's and Don't's / ARE YOU EXPECTING? YOU CAN DO SOME KNITTING WORK! 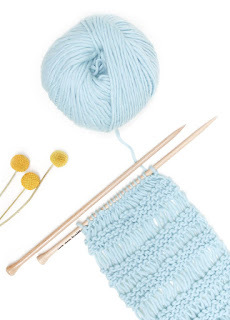 Knitting is one of the great hobbies to fill your day with innovative ideas and creativity. Now that you are pregnant and as you get to spend lot of time at home you can concentrate in doing many small things to beat boredom. Apart from eating a good meal and quality time spent sleeping, the spare time can be spent on knitting. You can definitely try your hands on it. If you had knitted before, it would make you recollect quickly. You can collect some books from friends or buy some books for yourself. Many websites offer on-line classes. You can slowly practice it in your free time. There was an old superstition which cautioned pregnant women from knitting during their pregnancy period. They believed knitting will make the umbilical cord twine around the neck of the baby. Elderly women stopped their daughters-in-law or their daughters from taking up knitting as their hobby. Knitting, Crocheting and Sewing are tremendously important skills for children of both genders. Knitting and crocheting are also well known in the world of counselling since the repetitive movements have a very calming effect on the psyche. To beat the stress suffered from monotonous office work or domestic work, knitting is a good way to relax. It is a very big art and children love to learn the art of crocheting and knitting from their Moms. It is a myth to consider that raw material needed for knitting is too expensive. It depends on the choice of the yarn. The beginners can choose yarns that come in moderate price. Step by step learning is always better. As you learn you can slowly make complicated designs. Knitting is a craft loved and practised by millions and millions of people. It is a great stress reliever as you work close on the rows and columns of the fabric that you are knitting it helps in great attention and concentration as you forget all your other petty worries. It is very good for hand and eye co-ordination. It gives you so much potential to show your creativity. You know anyone who does it, just borrow couple of needles from them. So, if you are an expecting Mom, definitely give it a try. You will stick to it for lifetime. Excellent Blog! I have been impressed by your thoughts and the way you presented them.